The "leap second" means the last minute of June had 61 seconds in it. Leap seconds - and leap years - are added as basic ways to keep the clock in sync with the Earth and its seasons. However, there are concerns extra seconds can potentially cause problems for some computer systems because it has to be added manually. Timekeepers are divided over whether to keep the additional unit of time - and the issue is set to be debated at a meeting later this year. The addition meant that the last minute of June had 61 seconds; while 23:59:59 UTC usually becomes 00:00:00, the leap second ensured the time became 23:59:60 UTC. Peter Whibberley, senior research scientist at the UK's National Physical Laboratory (NPL), said: "Because they depend on measurements of the Earth's rotation, which varies unpredictably, leap seconds occur at irregular intervals." News coverage has focused on the potential for software problems that could affect financial trading and other operations around the world. Mr Whibberley, who works in the time and frequency group at NPL, stressed the need for planning. 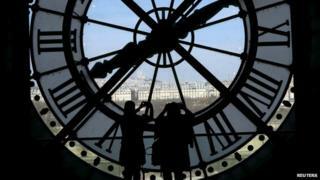 "Leap seconds are announced only six months in advance. This means computers and software cannot be supplied with leap seconds programmed in, and they must be inserted manually," he explained. "Getting leap seconds wrong can cause loss of synchronisation in communication networks, financial systems and many other applications which rely on precise timing. "Whenever a leap second occurs, some computer systems encounter problems due to glitches in the code written to handle them. The consequences are particularly severe in the Asia-Pacific region, where leap seconds occur during normal working hours." Audio Does the "leap second" matter?